Ecuador is a country with a stunning and diverse landscape, but many people planning a trip there think only of the Galápagos Islands–with a stopover in Quito being a logistical afterthought. But there’s far more to Ecuador than these famous islands–and even more to discover beyond the Amazon jungle or gorgeous beaches. If you’re curious about the best places to visit in Ecuador, keep reading! I’ve got a guest post from Caitlin at Purposeful Nomad (complete with photos that are going to have you searching flight prices before the end–I know they did for me!). I met Caitlin at a conference recently and instantly felt like we could sit down to coffee and chat for hours about our mutual love for Latin America. 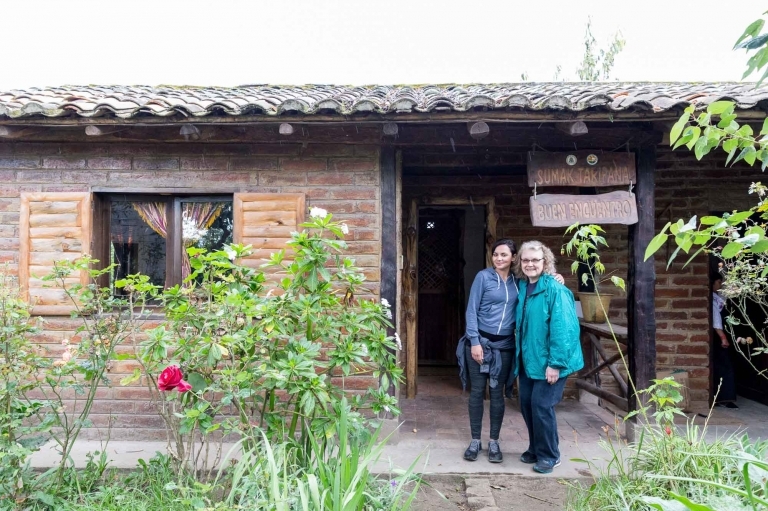 Purposeful Nomad is exactly the kind of brand I love to partner with, and I’m so excited to be sharing this post about some unusual and off-the-beaten path places to visit in Ecuador. All images are © Purposeful Nomad and are used here with permission. My very first trip to Ecuador many, many years ago I saw only the airports of Quito and Guayaquil before being whisked away to the legendary Galápagos Islands. I had returned home satisfied to say I had been to Ecuador. Years later I found myself back in Ecuador, the mainland this time, doing research and development for Purposeful Nomad. I uncovered a country that was so culturally rich and dynamic it nearly knocked me off my feet. Today, more than 15 years after my first visit, Ecuador continuously calls me and leaves me hungry to discover more. While Ecuador is known mostly for the Galápagos Islands and Amazon jungles–and those are both not-to-be missed places–trust me, it’s only a tiny slice of what Ecuador has to offer. This country is teeming with epic nature, colorful markets, and locals who are eager to welcome you into their homes and share their carefully preserved traditions. I fell in love with the Ecuadorians’ humble pride for their culture, and I was admittedly surprised by the sustainability movement already taking place. Ecuador is a country with many dedicated individuals invested in improving their country. The more I veered off the beaten path and away from the typical tourist destinations, the more magic I discovered. Here are some of my very favorite unique, lesser known places and things to do in Ecuador. 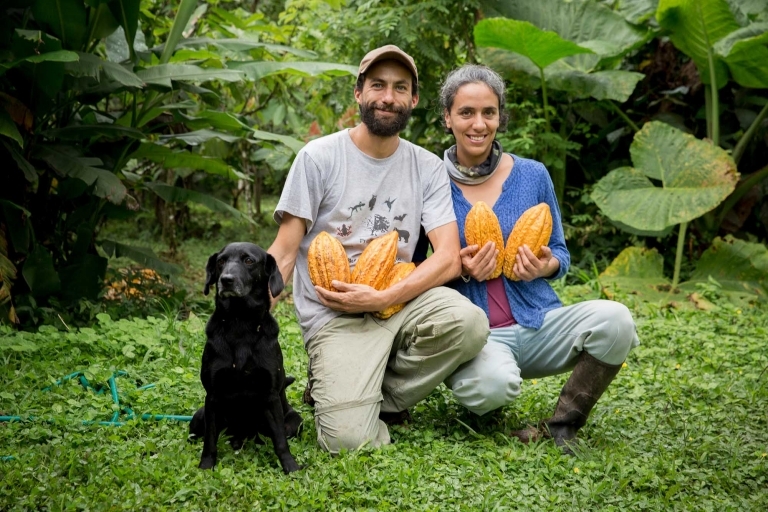 Owners Augustina and Felipe run this small farm with a huge heart tucked away deep in the cloud forest. Their spirit and love for their work lives in this land, and I believe it’s what makes their chocolate so good! Not only have they dedicated their lives to growing organic cocoa but they are extremely passionate about rehabilitating the land after years of devastation from cattle herding in this area. You can volunteer on the farm and learn everything from the bean to bar process–and of course, taste chocolate all along the way. Get your hands dirty and dig in! This almost perfectly round crater lake will fill your day with all the hiking your heart desires. Formed by the collapse of a volcano thousands of years ago and almost devoid of the throngs of tourists and crowded hiking trails, this place is pure outdoor bliss. The solitude and peace is what Quilotoa is all about. You can choose to hike down into the crater or the 4-5 hour hike around the crater. Remember to catch your breath as the altitude here is about 12,000 feet and is no joke! Stay at Black Sheep Inn–one of the loveliest guesthouses I have known. This isn’t just a typical homestay where you show up and share a meal then perhaps wander off to bed. Really, the heart of this community initiative with our partner (Runa Tupari) is to invite visitors to participate in the daily life here. You may find yourself harvesting quinoa, sorting dried corn, taking care of the animals or learning how to cook with the Señora of the house. These are primarily agricultural families with deep respect for Pachamama (Mother Earth). Learning their way of life demonstrates how these communities live off the land and survive with very little modern technology. This is also an incredible opportunity to engage with local communities and be a a part of the family for a day or two! 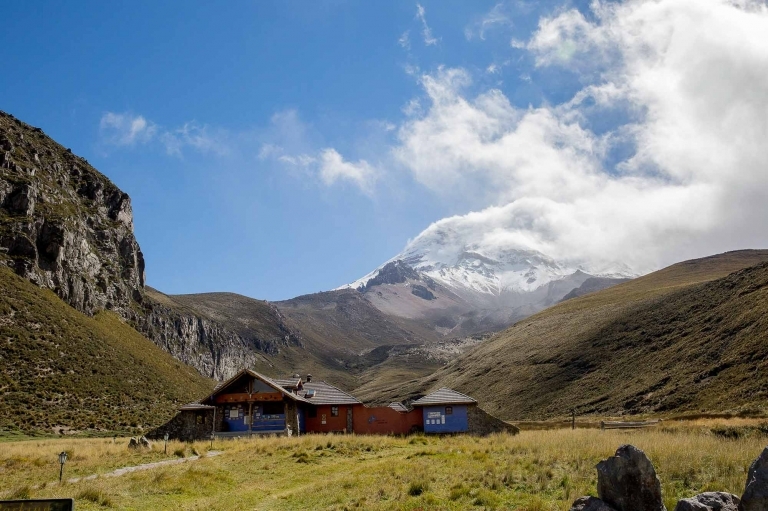 If you stay at Chimborazo Base camp, you will not be disappointed. My heart stopped when I saw this place for the first time. Epic views from every room and angle of Ecuador’s highest volcano are truly humbling and awe-inspiring. The owner also has 200 free-roaming alpacas which gently graze and wander the grounds. Their natural curiosity and playfulness might allow for some close interaction if you are lucky. Access to hiking trails are right out the front door and excursions can be arranged to view wild Guanacos and Vicunas. Want to experience all these incredible places firsthand with a group of other adventurous women of all ages (and possibly yours truly)? Check out the details of Purposeful Nomad’s 2019 trip (and be sure to use my discount code below)! Explore the gorgeous central regions of Ecuador and its thriving slow food and clothes movement. From its rich cultural traditions and natural beauty to its colorful architecture found in Quito. Relax in the dense canopy jungles of the cloud forest and absorb the stillness of the highland plains. 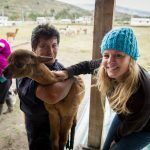 On this trip, PN partners with ethical organizations that are off the beaten path providing the opportunity for meaningful exchange with local communities and farms. Use my discount code ALPACA for $200 off! Purposeful Nomad connects compassionate, adventurous women with incredible communities and experiences around the world. Dedicated to developing genuine global relationships, discovering off-the-beaten-path destinations and finding ways to have meaningful exchanges with the communities they visit, Purposeful Nomad is all about crafting deeper, safer, more ethically responsible travel for women. 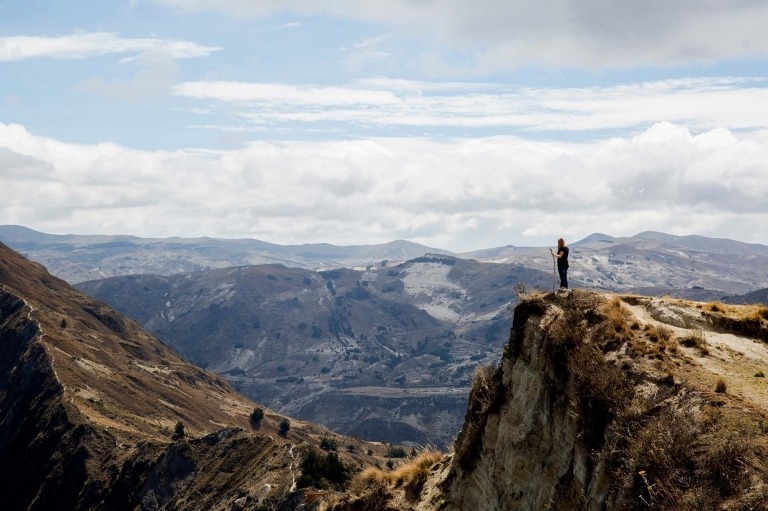 Caitlin Murray // Planning adventures and traveling has been in Caitlin’s DNA since birth. Her first true expedition around the USA for 3 months changed her life and thus began a journey to see the world beyond. Her passion for integrating community connection and service into her travels has taught her more about the world than anything else. For her, Purposeful Nomad is about sharing this pursuit and using this positive energy to fuel greater awareness and acceptance.